and all other places ebooks are sold. NO PLACE TO DIE is an an explosive new romantic suspense series filled with love, tragedy, heartbreak, betrayal and suspense, one that will leave you turning pages late into the night. Book #2 will be released soon. ​Get this book free on Amazon and everywhere ebooks are sold. ​ NO PLACE TO VANISH is book #2 in the new romantic suspense series by #1 bestselling author Jaden Skye. Olivia, back in New York and trying to resume her normal life, receives a shocking phone call: her best friend from college has gone missing. She never returned from her bachelorette party. Olivia, implored by her friend’s husband to help, flies back down to Miami, determined to find her. She meets the woman’s friends, and finds herself lead deeper and deeper into a maze of lies, strippers, secret lovers, and jilted husbands. As the trail leads her back to Key West, she finds herself working side by side with Wayne again, stirring up old memories. Yet, even so, the trail has seemed to gone cold. Olivia can’t help but wonder: did her friend run off? Kill herself? NO PLACE TO VANISH is book #2 in an explosive new romantic suspense series filled with love, tragedy, heartbreak, betrayal and suspense, one that will leave you turning pages late into the night. Book #3 will be released soon. 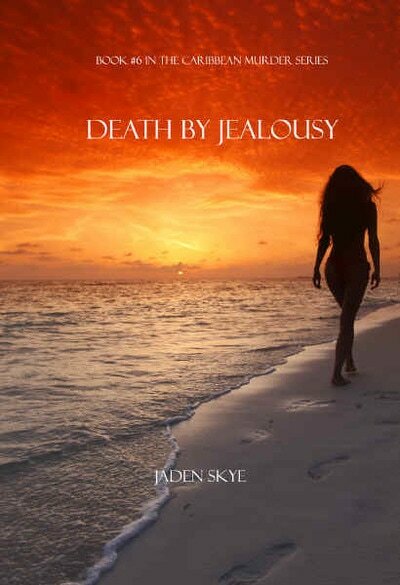 Jaden is also author of the #1 Bestselling series MURDER IN THE CARIBBEAN, which begins with DEATH BY HONEYMOON (Book #1), a free download with over 200 five star reviews! In DEATH BY INVITATION, Mattheus finally proposes to Cindy. They arrive at their hotel in St. Thomas to prepare for their wedding—and are shocked to discover another bride’s bachelorette party, in their hotel, gets out of control, and goes terribly wrong. Cindy and Mattheus find themselves drawn into a case of sudden tragedy, one they cannot ignore. As they delve deeper into island and into the dark, dangerous world of male dancers, they find themselves thrown into a maze where a killer stalks right before them, and nothing is what it seems. She digs deeper, into the depths of Clint’s massive corporation, DGB oil, and as she starts to unearth information she shouldn’t, she goes too far. Soon her own life is in peril. On the run, she realizes that the only way to get answers, and to save her own life, is to return to where it all began: Barbados. As she heads into the dark underside of the island, into the heart of the local villages, she is shocked to discover what really happened to her husband on their honeymoon. But by then, it may already be too late. When an old friend’s husband goes missing, she calls Cindy for help. Fresh from her own tragedy, Cindy returns to the Caribbean, this time to the gorgeous, lush island of Grenada, to find him. Cindy, still grieving her own husband’s death, stays at her friend’s incredible villa on the ocean, as she does her best to help track down her friend’s husband, Ames. As Cindy investigates, she meets the different characters on the island, some local, some fantastically rich, all of whom seem to be involved with each other, either romantically or in shady business dealings. As Cindy uncovers secret affairs, odd money dealings and drugs, she realizes there is a complex web on the island, hidden from public view. And as she digs deeper into Ames’ life, she is shocked to discover how many secrets he had been hiding from his wife—and that she never really knew the man she loved. The police at first refuse to take her seriously, but they soon gain respect for her tough intelligence, courage and determination. Cindy’s relationship with one cop in particular, Mattheus, develops in unexpected ways, as they give each other solace from their losses. But Cindy digs too deep. Soon, she finds her own life in peril, as she heads into the dark underside of the island. Startling developments in the investigation lead to a shocking ending, as a body is discovered, and Cindy alone must find out if they’ve convicted the wrong person. 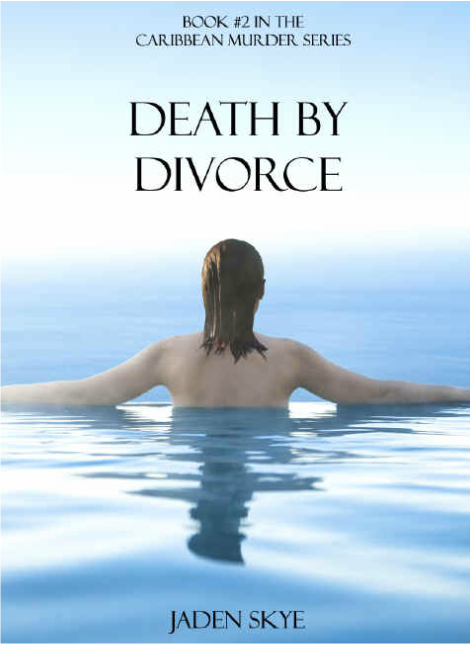 DEATH BY DIVORCE is Book #2 in the Caribbean Murder series, following DEATH BY HONEYMOON (Book #1). 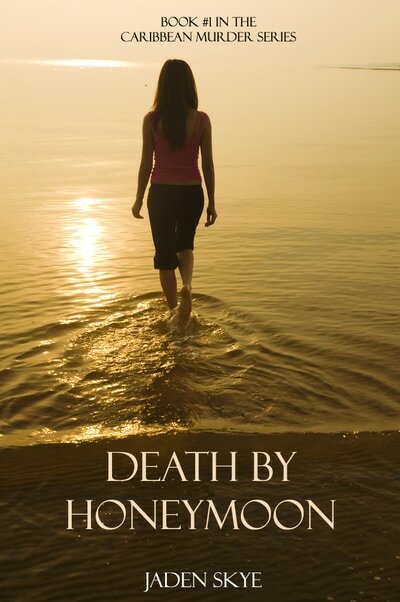 DEATH BY DESIRE is both a stand-alone novel and Book #4 in the Caribbean Murder series, following DEATH BY HONEYMOON (Book #1), DEATH BY DIVORCE (Book #2) and DEATH BY MARRIAGE (Book #3). Cindy and Mattheus, finally together, prepare to take time off and live together—when a stunning upset in their relationship tears them apart. Cindy flies home to New York, resigned to never work as a detective—and never see Mattheus—again. And then a shocking phone call comes out of the blue: it is Mattheus. A new body has turned up. Cindy at first refuses—until he tells her who it is: his wife. They finally found her, on the shores of Key West. Brutally murdered, they suspect, by an abusive Boyfriend. Mattheus’ world is upside down, and Cindy has no choice but to fly back down to the islands and help him uncover what really happened. Why did she turn up now, after so many years? How did she turn up in Key West, so far from where he’d last seen her? Why had she never contacted him? Who was she dating? And have the police caught the right man? Their investigation takes them deep into the underworld of Key West, a gorgeous, idyllic place where the locals gather to watch the sunset every night with an evening drink. It is an enchanting place—but as Cindy learns, it is also a place with a dark underbelly. Cindy prods deeper into the murder and her investigation takes her into the world of an abused woman’s shelter. Soon, she is convinced the police have the wrong man. She and Mattheus, thrown together again, reconsider their feelings for one another. But there may not be time: Cindy finds out too much and comes in danger herself. As the murder hits too close to home, it may be too late for them both. 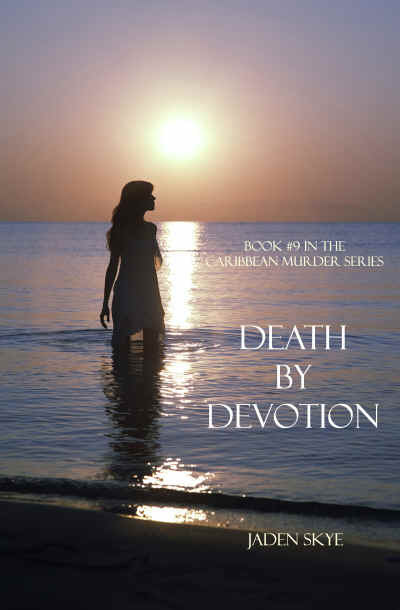 DEATH BY DECEIT is both a stand-alone novel, and is also Book #5 in the Caribbean Murder series. Books #6--#9 in the series are now also available! Cindy and Mattheus, finally away together for a much needed vacation on the beautiful island of Aruba, are awakened by horrible shouts of despair. A guest at the hotel has just discovered his new fiancée dead under their window, sprawled out on the courtyard below, soon after he had proposed. The two recently met online, had a long-distance internet relationship, and had met in person only a few times. The entire hotel is terrified and mobilized. Was it suicide or was it murder? Despite pressure from Mattheus for Cindy to focus on their relationship and not become involved, she has to fulfill the promise she made to herself to help victims of crime. Cindy can’t stop herself from jumping in and helping. Cindy and Mattheus’s relationship is put under strain as the tension heats up as they explore the strange web of relationships between the family of the young woman and her new fiancée. They meet the lackadaisical police on the Island, the victim’s strange father who always expected her to die, and the dead woman’s hot-headed boyfriend who recently turned up at the hotel with his new girlfriend. They are propelled deep into the worlds of counterfeit love, fantasy relationships, and the horror of not knowing the truth about the person you are with. DEATH BY PROPOSAL is both a stand-alone novel, and is also Book #7 in the Caribbean Murder series, following DEATH BY HONEYMOON (Book #1), DEATH BY DIVORCE (Book #2) and DEATH BY MARRIAGE (Book #3), DEATH BY DESIRE (Book #4), DEATH BY DECEIT (Book #5) and DEATH BY JEALOUSY (Book #6). Before they get engaged, Cindy urges Mattheus to meet his long-lost Caribbean daughter, whom he has never met. Sixteen years ago, after a one night stand, the woman became pregnant, and Mattheus quickly left. Mattheus’ beautiful, volatile, fifteen year old daughter, Andrea, badly needs him, and she wants him to come to Anguilla, where she lives, so they can get to know each other. One caveat, though: he has to come without Cindy. Andrea has a mother, and one mother is enough. Mattheus feels his daughter is in trouble, feels compelled to go, and abruptly leaves Cindy behind. Convinced that her relationship with Mattheus is over, Cindy returns to the States, ready to start her life again. 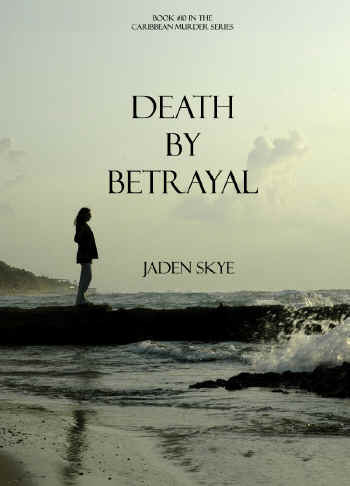 A few days after she gets back, amidst the excitement and a wonderful job offer, she receives a startling call from Mattheus down in Anguilla: Andrea’s stepfather has been killed and Andrea was found beside him, covered in his blood. Mattheus, desperate, begs Cindy to come down and help. Not only has his daughter been taken into custody—but now he is a suspect as well. Unable to say no, Cindy returns to the Caribbean to help find the true killer and to attempt to free both Mattheus and his daughter—but she soon finds that she’s up against an underground web of danger on the island, and it may be too late to save all of them—including herself. Cindy and Mattheus part ways, and while he stays in the Caribbean to protect his daughter and her mother, she returns home. Cindy’s sister, Ann, meets her at the airport to welcome her back to this new chapter of her life. Cindy starts to settle back in, to meet old friends and make plans to take on a new job—when a shocking call suddenly comes. It is a call Cindy never could have expected in her wildest dreams, a call that rips her world apart. Someone close to her—too close—has been found murdered in Bermuda. Cindy has no choice but to get on the next plane to Bermuda and hunt for the killer. Before long, Cindy finds herself enmeshed in an underworld of big business and crime. Beside herself, hitting dead ends, Cindy is forced to call Mattheus to help. 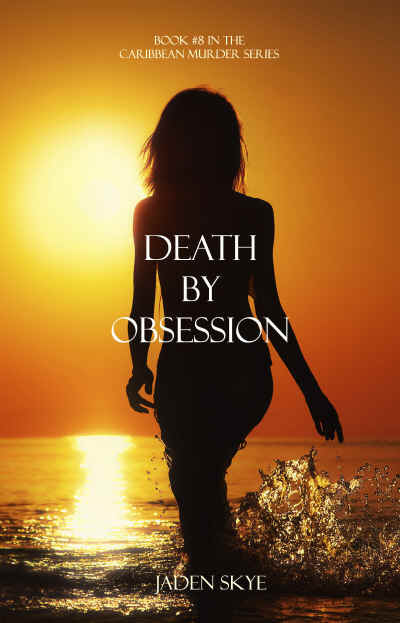 In Death by Request (Book #11 of the Caribbean Murder Series), Cindy and Mattheus are given a shocking case they have never faced before: a clear-cut case of euthanasia might turn out to be something more ominous. Tara and Owen Danden, celebrating their 25th wedding anniversary in Jamaica, are on the water, in a boat he rented, when the weather shifts and Tara falls overboard. As Owen tries desperately to save his wife, the boat spins and hits her head—sending her into a coma. Pulled out of the water, barely alive, Tara is airlifted to an elegant hospital on the island, and remains in a coma for two months. When she finally dies, however, there becomes a question of whether she truly died of natural causes. Based on scanty evidence, Owen is taken into custody and quickly hires Cindy and Mattheus to clear his name and find out who wanted Tara dead. Cindy and Mattheus’s journey takes us through an intriguing exploration of comas, euthanasia and what happens to those in altered states. As the investigation proceeds we watch Cindy and Mattheus’s relationship ripen, and take a new turn. We also meet Tara’s crazy family, learn the secret they’ve been hiding, and see what bearing it might have on the case. As a new suspect finally comes into focus, all is not what it seems to be. DEATH BY REQUEST is Book #11 in the #1 Bestselling Caribbean Murder series, which begins with DEATH BY HONEYMOON (Book #1). It is also a standalone novel. 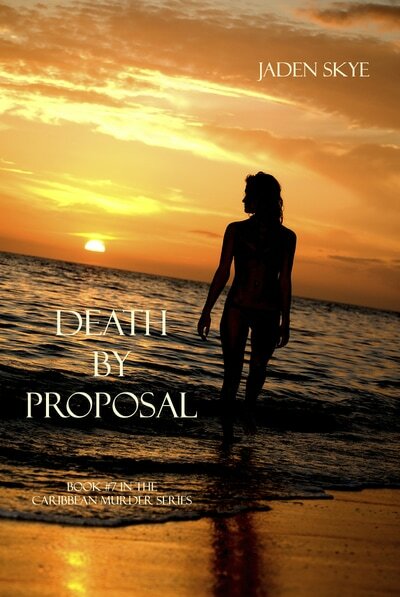 In Death by Engagement (Book #12 of the Caribbean Murder Series), Cindy and Mattheus joyously head to Aruba to search for a wedding venue for their destination wedding. Thrilled, they enter the magical, romantic world of wedding planning and along the way, meet another recently engaged couple, also looking for a place to be wed. But the beauty of Cindy and Mattheus’s time together is suddenly interrupted, when they learn that the young woman they had just met has plunged to her death at a nearby cliff. Although she left a suicide note, the girl’s devastated father refuses to believe she took her own life. He begs Cindy and Mattheus to investigate and see if foul play was at work. Although Mattheus refuses, Cindy is compelled to give it a chance, a decision which causes increasing tension in Cindy and Mattheus’s relationship, and which brings out aspects of each of them never seen before. As Cindy explores the inner workings of the young woman’s life and family, many shocking surprises also take place in her relationship with Mattheus. Not only does Cindy have to remain strong and persistent in uncovering the cause of the death, she must go through many personal changes to deal with what’s happening in her own life. A surprise end on all fronts turns all expectations upside down. DEATH BY ENGAGEMENT is Book #12 in the #1 Bestselling Caribbean Murder series, which begins with DEATH BY HONEYMOON (Book #1)! It is also a standalone novel.